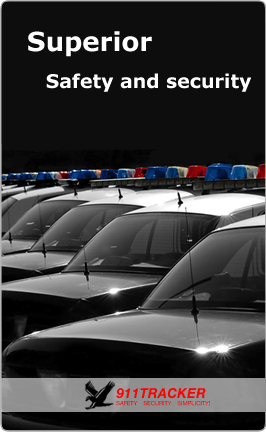 It is the mission of 911Tracker to provide a rapid, affordable, and superior safety/security access to public safety by developing systems that will save lives and protect property worldwide. The company is led by a team of experienced executives with extensive safety/security knowledge, product development, business development, and operational expertise to provide leading edge solutions. 911Tracker is offering vehicle owners a small security device that can easily be concealed in their vehicle to provide safety/security. The product uses the latest in GPS location and cellular technology to provide real-time tracking. The product incorporates a unique capability to let the owner command a call directly to 911 from the vehicle without the use of a call center. This unique capability permits police to dynamically track the location of the vehicle and permits public safety personnel to reach the emergency location quickly. Two company advisors have been closely associated with 911 for over 20 years, have directed statewide 911 services, and have been long-standing members of national safety standard groups, including NENA / TIA / ESIF, APCO, USDOT, and ComCARE Alliance. The company is a privately owned California Class C corporation.